There was a lot of talk when Ronda Rousey’s coach voiced his opinion that he still wants the long-awaited fight with Cris Cyborg. 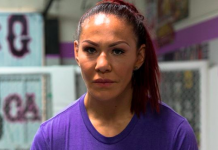 It’s a fight that Cyborg herself is no longer interested in, and one her coach scolded Edmond Tarverdyan for suggesting. 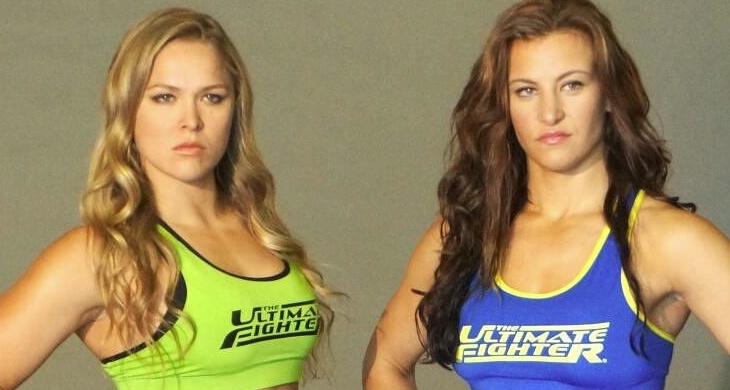 The latest to speak out on this is Rousey’s greatest rival, Miesha Tate. Not only does she think it’s ‘asinine’ for Tarverdyan to put the idea out there, but gives credit to Cyborg for shooting the fight down before the idea even gets legs. “That’s not what this sport is about. It’s about great competitive match-ups and I just don’t feel like it’s even fair to ask for something like that. If you were looking out for your athlete, why would you do that? Cyborg is still fighting and I am not and I don’t believe Ronda will. She’s been very absent. She doesn’t even want people asking about her MMA career, so you’ve gotta’ wonder. She just got married and everything. I don’t see her coming back. I think she’s got a good deal with the WWE. She’s probably gonna want to start a family. I know she’s alluded to that earlier on.” — Miesha Tate speaking on her new MMA Tonight podcast. Regardless of your opinion, Ronda Rousey doesn’t have anything left to prove in the sport. Everyone wanted her to fight Cris Cyborg but when they were both in their primes and at the height of their careers, not now when Rousey has suffered two severe losses and seems to be distancing herself from the sport. When talking about Rousey, Miesha Tate even said she thinks pro wrestling and a family with Travis Browne is in her future. You can catch Tate’s show will now be on Wednesdays from 6-8pm PST on Sirius XM.